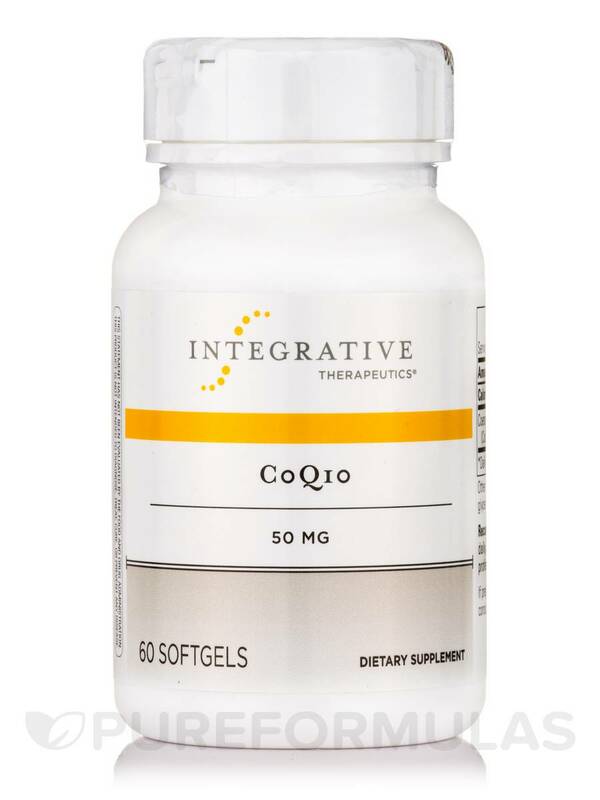 Use CoQ10 50 mg by Integrative Therapeutics everyday. Great brand highly recommended by my doctor. Each cell of your body is composed of energy-producing parts called mitochondria. These mitochondria use different enzymes to produce energy; CoQ10‚ also known as ubiquinone‚ is one of the most significant. CoQ10 helps convert fats and carbohydrates into the basic unit of energy‚ the adenosine triphosphate (ATP). Since your heart and skeletal muscles are the most active parts of your body‚ higher concentrations of ubiquinone are contained within them. Studies also suggest that high amounts of CoQ10 are needed to support normal heartbeat rhythms. Dietary supplements may help treat CoQ10 deficiency. 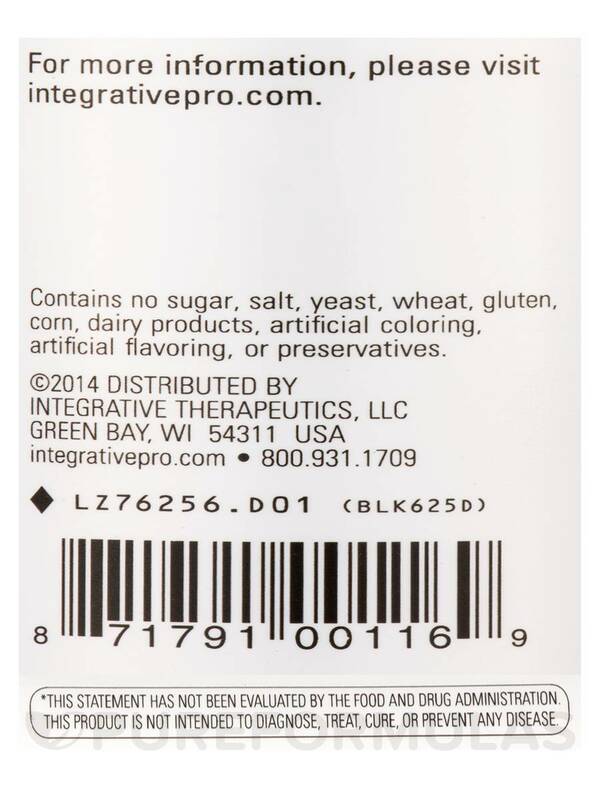 Integrative Therapeutics’ CoQ10 50 mg Softgels may be able to help you feel better by restoring ubiquinone levels. It works best when combined with a healthy diet and regular exercise. 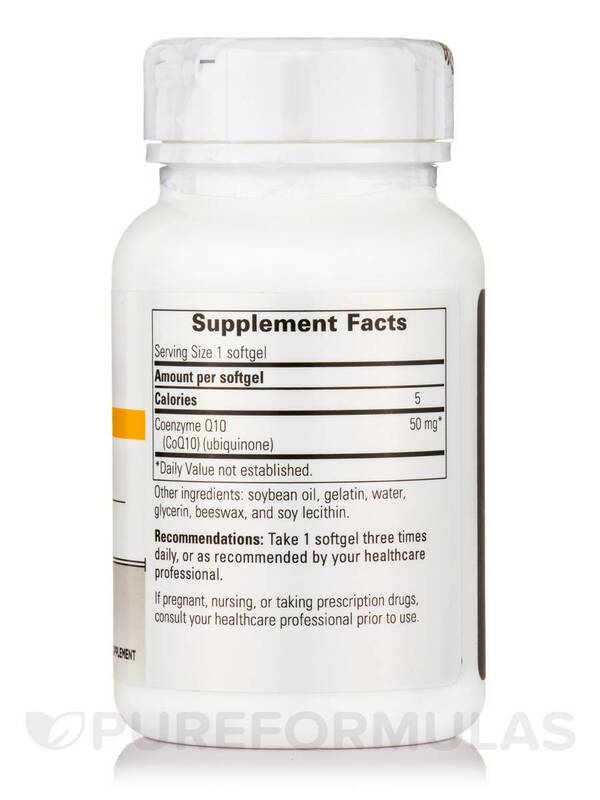 This easy-to-swallow supplement provides the naturally occurring coenzyme Q10 as the main ingredient‚ which allows your heart‚ liver‚ and muscles to metabolize energy. 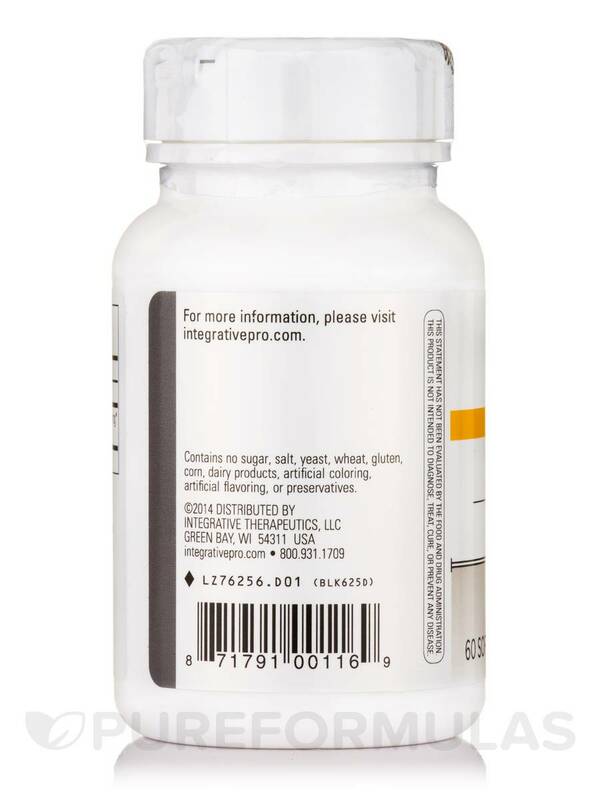 Each 60-capsule bottle of CoQ10 50 mg Softgels by Integrative Therapeutics should last for about two months‚ depending on your dosage. 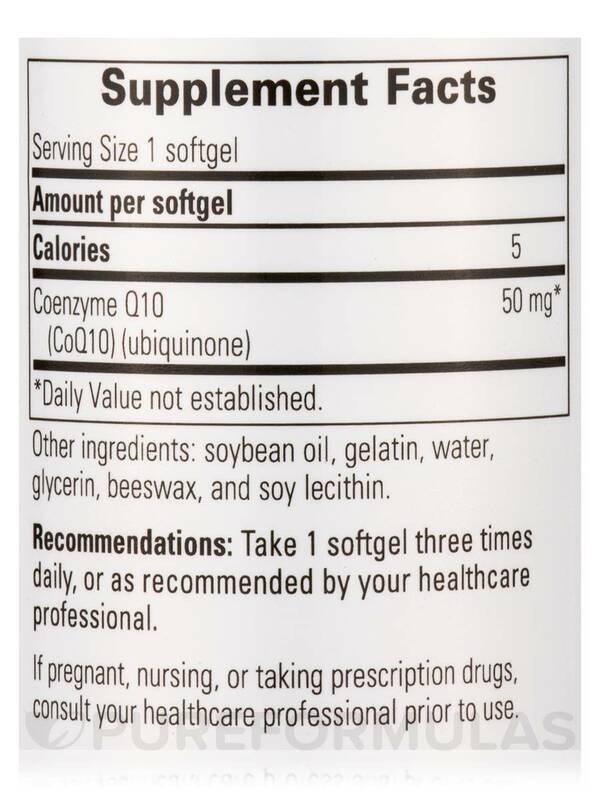 Take 1 softgel three times daily‚ or as recommended by your healthcare practitioner. CoQ10 by Integrative Therapeutics was recommended for cholesterol, so far so good. That they are gel tabs.